Flirting With The Redline 1000 Posts! 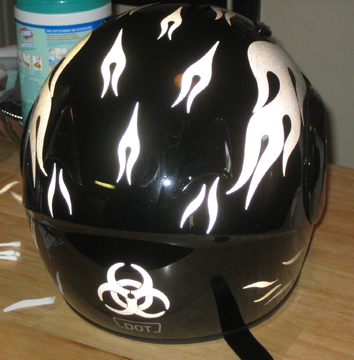 I got my e-bay order of black reflective tape,put it on the frame and saddlebags and it lights up pretty good and hard to see during daylight hours just as promoted. Prove it, comon you should now by now we needs some pix. The whir of gear driven cams makes me giddy. dont mean to thread jack but i got some 3m tape the other day for my jacket so heres some pics. 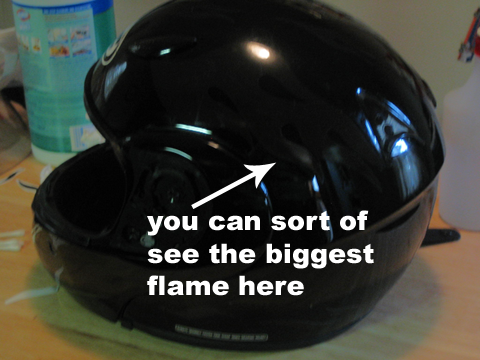 Well, I'm not Monty, but I use black retro-reflective decals on my helmet. I am Moto Crew at the Boston Avon Walk for Breast Cancer -- you wish you could have this much fun! Join us! SKnight is allowed to call me mean. All others... at your peril. Jay.. That looks really good.. That would do well on my bike and gear..
"I have seen fat kids on Segways go through corners faster." thanks, i was impressed at how it came out since i bough a 8 1/2x11 sheet and cut all the pieces myself. 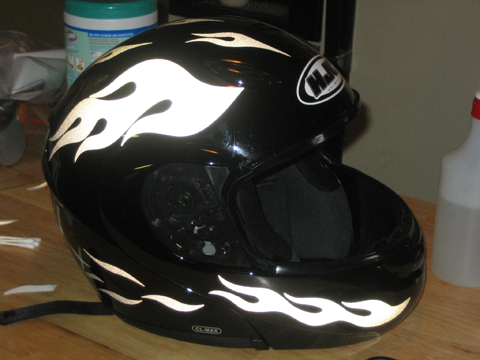 also put some on my helmet, boots, and the bike itself.